There are two types of HPHT (High Pressure High Temperature) natural diamonds The first is a lab-grown, or synthetic, diamond that is created using HPHT by simulating conditions by which a natural diamond is made deep in the earth’s crust. The second is a natural diamond that uses HPHT to change the brownish color of the stone into a fine white diamond. HPHT processing of type IIa diamonds simply “de-stresses” the diamonds internal structure, While a diamond starts out at the earth’s core as colorless, it passes through substantial heat and pressure as it makes its way up to the earth’s surface. The passage stresses the stone which causes it to gain brownish tone. Engineers recognized that if they could replicate these forces they could possibly de stress the material and it would once again return to its original clear state. There is a very limited supply. These diamonds come from type IIa rough, which is very rare in nature. Although the great majority of type IIa’s are typically pure internally, it is only those that are of the highest quality that are chosen to go through the process, less than a percent can are treated in this manner. HPHT processing requires massive investment in costly pressure equipment as well as the know-how to utilize the equipment.As a result, the technology has traditionally been confined to locations with a history of research and commercial activity in related areas, notably the U.S., Russia and Japan. Some suspect that the larger mining companies have held back supply of type IIa diamonds in order to limit supply and subsequently keep demand for HPHT natural diamonds low. While HPHT-processed natural diamonds contain the same materials and characteristics as unprocessed diamonds, there remain strict guidelines to disclose these goods as HPHT stones and for the laboratories to clearly label them as such on their certificates. Furthermore, there are concerns about non-disclosed HPHT-processed diamonds being submitted for grading as natural diamonds, particularly since these challenges have become prevalent with regards to Chemical Vapor Deposition (CVD) synthetic diamonds in the past two years. 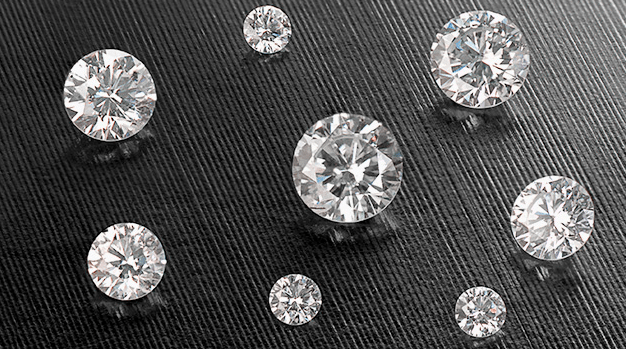 The Gemological Institute of America (GIA) stated that all diamonds submitted to GIA for grading are screened for treatments and synthetic typing, the GIA can confidently detect treatments, including HPHT. HRD Antwerp also screened every diamond entering into HRD labs, and depending on the diamond type and color, the stones are subjected to further investigation in a sophisticated lab in order to obtain a full identification. In terms of classifications, mined diamonds are either processed or unprocessed naturals, while treated diamonds are not considered natural, he explained. Furthermore, synthetic lab-grown diamonds are neither natural nor mined diamonds.